JBL LSR310S has a clean, crisp, full sound with shimmering highs, mids that cut and a polished, full low end. It hits frequencies you could never hear before and hits them with polished authority. No flabbily fat sloppy low end here. 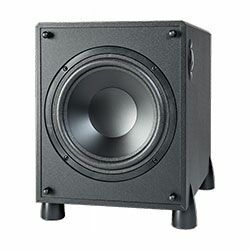 If you are producing Hip Hop or Electronic music with a lot of basses this is a great sub. If you mostly do rock or other music that is as bass heavy you will probably still like it and really uses the extended range capabilities of this sub. What can you find there additionally to mention previously? Read in our JBL LSR310S review! One thing that is a surprise is this thing is big! 15 inches on each side and 18 inches tall. So, it sits a bit "in the way" in any small sized office/studio. What we have here is a classic black box finished with black vinyl. It stands a couple of inches off the ground, which might reveal JBL’s intentions. Its driver is actually mounted on the bottom of the cabinet, while the front panel houses a slotted bass reflex port. Its size dimensions allow the LSR’s to fit anywhere from a small bedroom to a full recording studio. Additionally, the sub offers the ability to play in XLF (extended low frequency) mode. This XLF mode applies an EQ to the lower frequencies (in which case your response is no longer considered 100% flat). 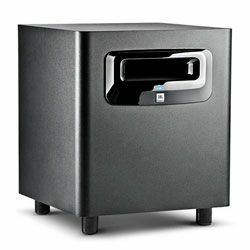 Instead, the sub mimics the sound environment of a club's sound system and pushes the bass response. If you wanted to get an idea of what your tracks would sound like outside of the studio, this is perfect for that. There is an external crossover switch as well, that allows you to set your own crossover with external gear if you don't like 80 Hz crossover. This probably is not necessary in most cases, as the sub sounds great with the built-in crossover. This sub provides solid, clean bass and has an included crossover. It isn't earth-shattering, but for a single 10" sub paired with small studio monitors, it does an excellent job. LSR310S specs are bangs with extremely clean sound. It can satisfy the audiophile and producer. It's hard to find anything wrong with this thing, it does everything it is supposed to and more for a reasonable price. Very cool technology on JBL's side. They just complete the overall sound and expands the sound stage making the imaging even more spectacular than it was before. 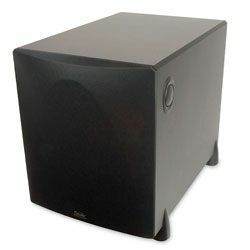 The clarity of the subwoofer is simply astounding and the bass is phenomenal. The low end on the thing is fantastic and quite amazing considering this is 10’ woofers. Still, sound clean and accurate higher volumes. You don't feel the need to get any extra bass. For acoustic, classical, and jazz, it's more of stalemate, with the sub being darker, lusher, and smoother and the JBLs being more dynamic (both micro- and macro-) and more 'live' sounding. Be sure LSR310S setup goes smooth and monitors to the 4 dBu setting while using pro audio equipment such as an audio interface with this sound system. This is the nominal voltage that the speakers are expecting to receive while using pro audio equipment (unless otherwise noted on your interface's JBL LSR310S settings). Things won't be shaking on the desk, but one can definitely appreciate the bass at moderately high volumes. At lower volumes, the sub is noticeable but won't really bother neighbors or even a roommate. 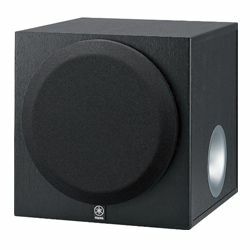 If you can afford this sub and already have the 305 monitors, you should definitely buy this. JBL LSR310S is the cream of the crop when it comes to non-poverty-inducing studio monitors. The shiny gloss plastic is a dust magnet, fingerprint magnet, and scratch magnet. Most musicians know that when working in a music studio, the quality of the equipment being used can directly influence the quality of the sounds in the finished product. Because of this, producers agree that the studio speakers need to accurately depict the full range of frequencies in a song. 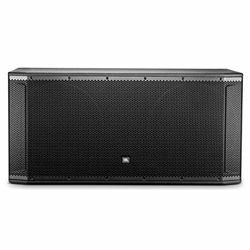 In addition to JBL LSR310S is surprisingly flat frequency spectrum, offers professional quality at a consumer price; perfect for even the most frugal music enthusiasts.